JST-PH connectors are compact small connectors with a 2mm pitch. 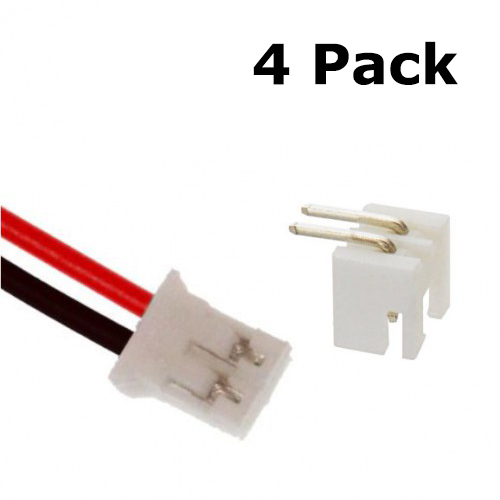 This kit contain 4 sets of Male Female connectors. We made it easy and connected 200mm pigtail wires to the female connectors. JST PH 4-pin Plug to Alligator Clips This cable will let you turn a JST PH 4-pin cable port into 4 individual wires with grippy mini alligator clips. This cable has a JST PH 4-pin on one side and all..
JST 1.2mm Extension pair (2 Pack) This JST 2 pin connector comes with 120mm lead wires. 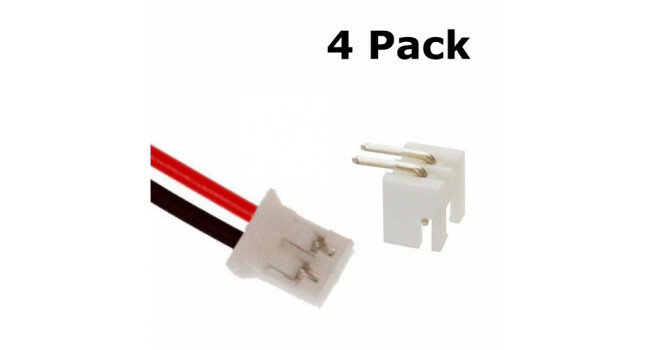 Comes with 2 Pairs of connectors Quick Spec Dimensions: 3.2*4.1*8.9mm Cable Length: 120mm ..